When I started this blog nearly five years ago, much of the motivation for doing it centered on reconnecting with my collection. As I dove into the myriad figures I had available in my collection, I began to find a quickly rekindled interest in the toys from the years dubbed “new sculpt” by collectors. 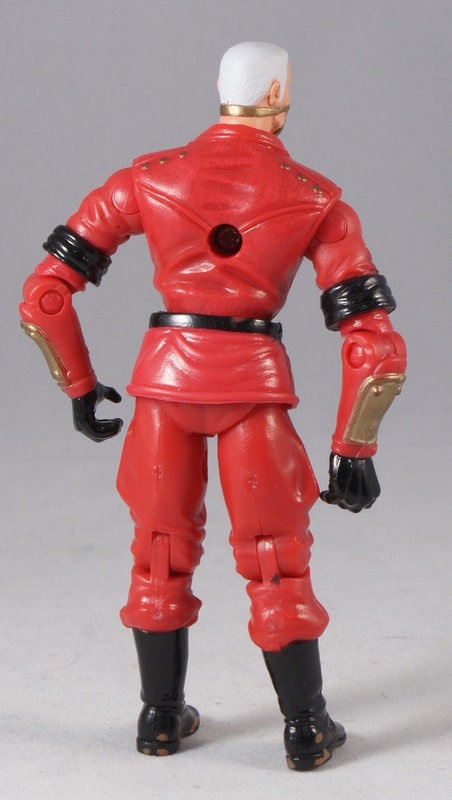 Produced with the same o-ring construction as their 80s and 90s predecessors, the figures were also designed with a far less standard buck among the different characters. This was an interesting new wrinkle in terms of the relative height and build of figures, as it was possible to make larger characters like Gung Ho and Roadblock more massive than Duke, Flint, et al. Unfortunately, some of the non-standard elements of the figures left a bit to be desired. In his defense, Cobra CLAWS Commander sports an interesting uniform and helmet design. 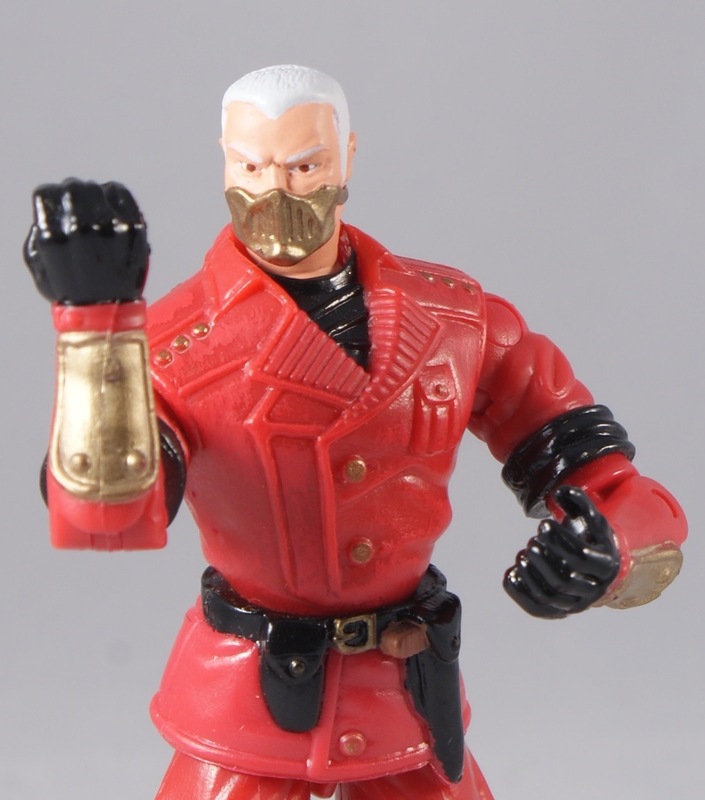 More than a little inspired by the ultimate Bad Guy uniforms of World War II, he certainly looks the part of a commanding officer in the Cobra hierarchy. This is a refreshing element of the line, which tends more toward a sci-fi and comic book aesthetic. One thing I can’t defend very well are the goofy arms. I can say that I think they were going for some sort of unique two-handed poseabiity with a weapon, but the in-turned arms ruin any other pose in which you place him. On top of that, his arms are hideously long. If you’re displaying this guy, either give him a rifle, or put his hands behind his back. As a character, I had assumed initially that this was a generic officer and not a named Cobra leader. After all, the Cobra CLAWS he’s commanding are a group of specialists, so it stands to reason there would be more than one commander, a la the Cobra Officer. Not so. Of course, once you take the helmet off, you can tell it’s not a generic head underneath–unless all of the commanders’ hair has gone prematurely white. The file card lays out the fact that this is an individual, and even gives him an interesting backstory of being involved in Russian criminal gangs dealing in bootlegged jeans, video games and hip-hop CDs. I wonder why Hasbro didn’t bother giving him a unique code name. Overall, I lke the concept—it’s just too bad about the funky arms. If you’d like to see what this mold looks like with improved arms, check out the DTC Crimson Guard from 2005. Apparently I haven’t covered that figure yet, but I’ll be sure to rectify that soon–it’s a pretty great figure for its time. Agree that the idea was substantially better than the execution. As a new character, this guy had potential. The design was kind of cool, though a little close to the Crimson Guard. But, man, those arms…. @Skymate – LOL. Classic Simpsons. This is a neat figure, and I like the way his helmet integrates with this mask. Odd about the hands. 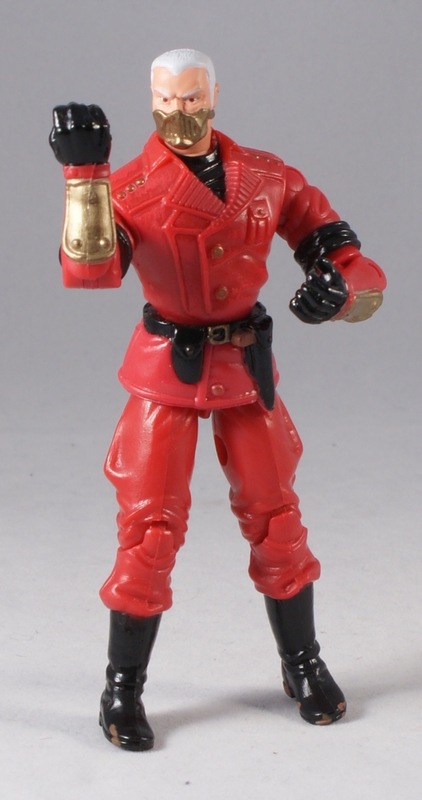 Cobra Commander is sometimes pictured a lefty, maybe this figure was designed as a new CC before being repurposed? Pretty cool weapon, too. The arms were awful, Also the “skirt” limited his ability to sit. Some people liked that aesthetic, but I’d rather have GI JOE figures that can interact with vehicles. 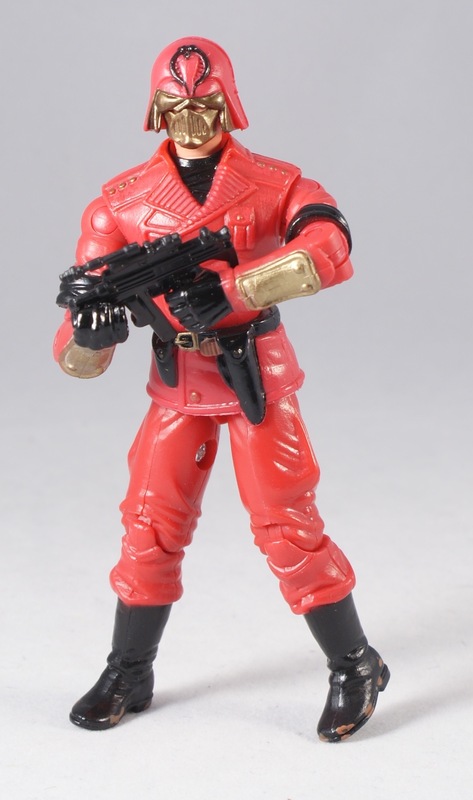 Maybe the arms were originally meant to have wrist articulation, like the Zartan, Duke, and Snake Eyes of the time. pigeon toed cobra villains? what was up with that?